As a writer, a reader and a freelance editor, one of the places I’m happiest is up to my elbows in text. My interest in literature generally, and poetry specifically, tends to the artistic and practical rather than the theoretical. I’m also extremely interested in (some would say overly curious about) the events and circumstances of other people’s lives, and how these are rendered into art, into writing. One of the fundamental aims, and challenges, of my own writing is to convey lived experience, in all its intricacies, with all its inexpressibles. And I have a profound interest in relationship, in how people relate not only to each other but to the multifarious inhabitants of the earth, and to the natural world itself. All these factors shaped my call for submissions for this issue of Plumwood Mountain, in which I asked for poems about “how humans engage and interact with the earth – physically, emotionally, intellectually and spiritually … from the broader sweep of humanity down to the most intimately personal”. I was curious to see how poets would respond. Once I’d printed out the (anonymous) submissions, my eye fell on the poem on the top of the pile, “Reading the frog economy”. It was energetic and nostalgic (“In my memory I flick every rock and find a frog deposit”); it confided; it joked; it contained serious warnings. I suspected I had an interesting and fruitful read ahead, and I was right. Before I talk about the poems I selected, a few words about the ones I did not. I eliminated straight away some very good poems that were not, by any stretch of the imagination, ecopoetry. Other poems began strongly, or contained an arresting image, or several, but did not maintain this energy through to the end; many good poems were let down by weak endings. There was – understandably, in submissions to an ecopoetry journal – a lot of strong feeling about the damage humans are doing to the environment. I am all for strong feeling, and against that damage, but any poem that felt moralistic, or told the reader what to think, I passed on. That still left plenty of good poetry to choose from. With some poems, the rhythm shone out, as in Phillip Hall’s description of an Indigenous dance event at Borroloola, where “DanceSite shakes-a-leg and stomps / a country whole” (“We have the song, so we have the land”). Or the subtler pulse in Anne M. Carson’s description of pulling up Golden Ash seedlings in “Elegy for a tree”: “feeling the stem’s wiry strength / the moment of grip before release, how life hangs on”. I also couldn’t resist a quirky syntax that served the poem well, such as in P. S. Cottier’s above-mentioned “Reading the frog economy”: “Every suburban bog housed their evening pukpuks of attraction, their sudden bursts of swim.” Or Kit Kelen’s “Day thirty-five: Under the weather”, from “At Ålvik”, “the man with the pipe is raking his leaves / he’s a little factory – wind has his whiff away”. Stenciled honeyeaters perch on a rock cutting. In my call for submissions, I asked for poems that were “engaging, intelligent, provocative; lively, rowdy or meditative”. I got all that, and more. the universe in our skin in our tiniest of bones. I hope some of these poems act upon you as they have on me. 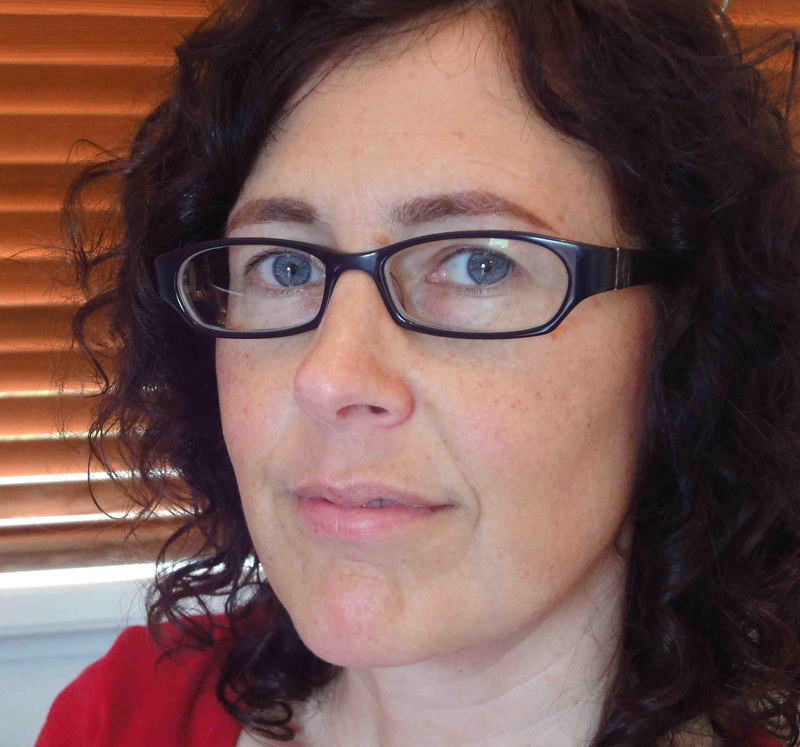 Tricia Dearborn’s poetry has been widely published in literary journals including Meanjin, Southerly, Overland and Cordite, and in anthologies such as Australian Poetry Since 1788, The Best Australian Poems (2010, 2012) and Out of the Box: Contemporary Australian Gay and Lesbian Poets. She was joint winner of the Poet’s Union Poetry Prize in 2008, and has received several grants from the Australia Council’s Literature Board. Her most recent collection of poetry is The Ringing World, published by Puncher & Wattmann in 2012.